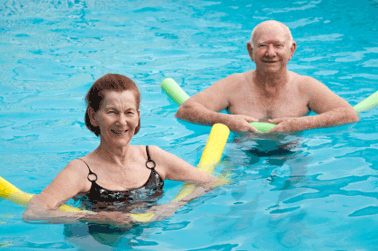 If you are about to turn 65, you are probably anxious to learn more about Medicare. Even if you've been on Medicare for several years, you still may have questions about your coverage since both Medicare and private insurance carriers seem to make changes every year. Since it was established in 1965, Medicare has provided a "safety net" to help Americans aged 65 and older pay their medical expenses. That's why before signing up for Medicare, you should consult with an insurance advisor to review your health care needs and see what type of coverage you really need. The Senior Product Specialists at Your Health Insurance Shop can give you the inside scoop on Medicare and help you plan for the future. Our staff has years of experience working with seniors and know the health care plans that are available to Pennsylvania residents. During retirement, do you plan to travel or spend time outside the state or country? Do you have any chronic health conditions like diabetes or heart problems where you require special treatment or medications? Are you a veteran and eligible for special programs? All these questions and much more can factor in to your decisions about Medicare. Call a Senior Product Specialist Today! Call today and talk to one of the advisors at Your Health Insurance Shop. We are glad to talk to you on the phone, but we can also set up a time for you to come in to our office or meet with you at a time and place convenient to you! 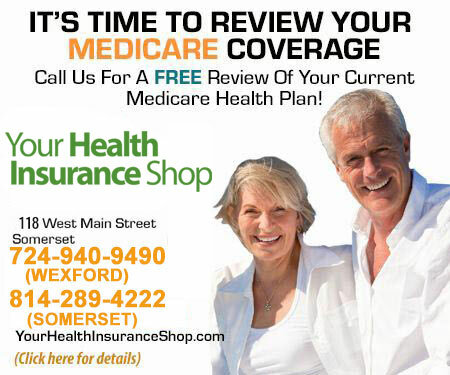 We offer a free review of your current health coverage.